The world today is noisy with news. We’re yanked from one story to the next with hardly a moment to pause and reflect. Anger sometimes simmers just beneath the surface of those making – and reporting – the news. It’s tiring, and I’m not sure we’re on a path to wisdom. What can you do? Take a deep breath. Try to gain a broader perspective on our historical moment through some of the best current books about national and international affairs. Today’s post offers nine books to read over the course of twelve months (summer is for summer reading, of course!). Seven of the nine books offer thoughtful consideration of foreign and domestic hot spots. Two offer updates on the state of current scientific knowledge. All books are written for the general reader, no advanced degree required. I’ve selected them after reading book reviews from a wide variety of sources. I’ll be reading the books from January through December 2018 and posting reflections. Please join the conversation! Russia hasn’t been so hot since the Cold War. What’s going on behind the headlines? 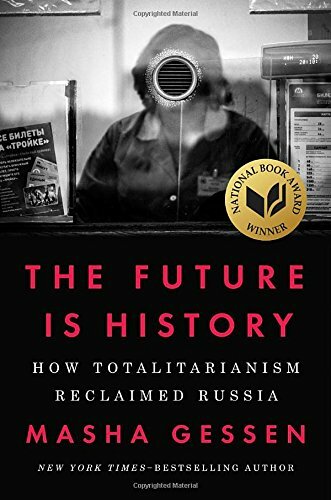 Marsha Gessen’s The Future is History: How Totalitarianism Reclaimed Russia explains. A Russian-American journalist, Gessen brings an insider’s perspective to Putin’s Russia. The Future is History recently won the 2017 National Book Award for Nonfiction. North Korea’s Kim Jong Un demands our attention with his missiles. Other voices are emerging from the black hole of his regime as well. Understanding our historical moment requires understanding the kind of government that is still possible in this day and age. 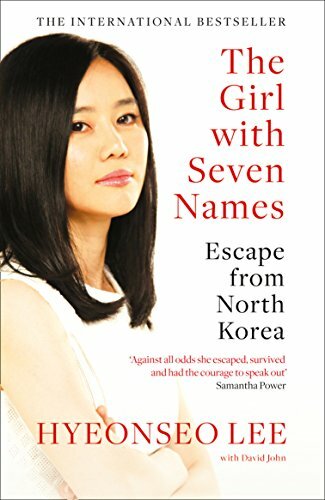 A good place to start is Hyeonseo Lee’s The Girl With Seven Names: Escape from North Korea. “If the author’s escapes reach the pace and intrigue of any modern thriller,” writes the Toronto Star, “almost more compelling is the quiet vulnerability of her childhood entrapment. Beyond imaginable restrictions such as state-controlled television and banned Internet, Lee’s description of growing up in North Korea depicts a citizenry held hostage. Two examples include the restrictive ‘songbun’ caste system that decrees a family’s prospects based on their loyalties to the regime and an educational structure rooted in propagandist hero-worship. ‘Whenever the Leaders were mentioned, the teachers adopted low, tremulous voices, as if they were intoning the names of living gods,’ writes Lee. Mandatory attendance at public executions and participation from childhood in weekly ‘life purification time,’ where students (and later coworkers) are made to rat out fellow citizens for the most minor of offences, reinforced the air of suspicion and paranoia. “The formula was to open the session with a commandment from Kim Il-sung or Kim Jong-il and then stand up and accuse the child who had violated it,” writes Lee. Islam is a religion of peace. Islam is a religion of war. Maybe it’s neither, maybe it’s both. Either way, it can’t be ignored. Begin this month with a short and meaty read, Islam and the Future of Tolerance by Sam Harris and Majeed Nawaz. “The reform of Islam is shaping up to be the most important issue in political ideology of the twenty-first century. This honest and intelligent dialogue is a superb exploration of the intellectual and moral issues involved,” writes Steven Pinker, author of The Better Angels of Our Nature. “It is sadly uncommon, in any era, to find dialogue based on facts and reason – but even more rarely are Muslim and non-Muslim intellectuals able to maintain critical distance on broad questions about Islam. Which makes Islam and the Future of Tolerance something of a unicorn. Nawaz and Harris discuss Islamism and jihadism from a historical as well as a philosophical angle, with no trace of sentiment or dogma. Most conversations about religion are marked by the inability of either side to listen, but here, at last, is a proper debate,” concludes the New Statesman (12-18-2015). 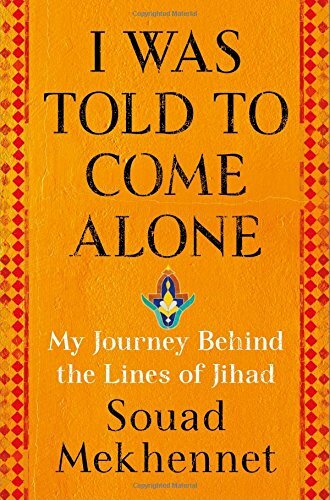 Following the theoretical debate, dive into a more personal work, Arab-German journalist Souad Mekhannet’s I Was Told to Come Alone: My Journey Behind the Lines of Jihad. Take a break for summer reading! In September and October, we’ll turn to two pressing domestic matters. First up is Dreamland: The True Tale of America’s Opiate Epidemic, by Sam Quinones, winner of the National Book Critics Circle Award in 2016. The worst journalism covers complicated matters as if they were simple. “Mass incarceration” has received more than its share of heated, simplified coverage. 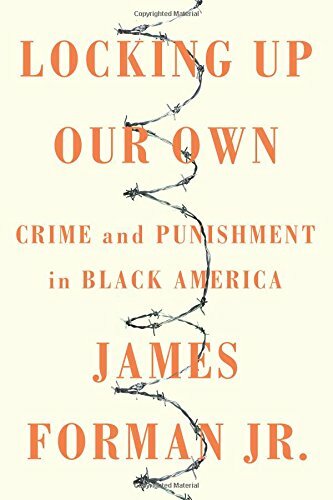 James Forman brings a powerful corrective to that conversation with his book Locking Upon Our Own: Crime and Punishment in Black America,” recently named by The New York Times one of the Ten Best Books of the Year in 2017. To wrap up the year, we’ll read two books that explore the state of human knowledge in two important areas – our genes within and the stars above. 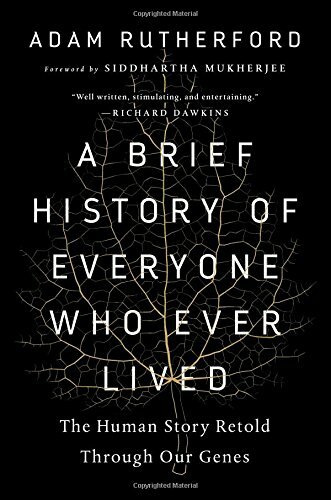 A Brief History of Everyone Who Ever Lived,” by Adam Rutherford, brings us up to date on the latest in genetic research, both its possibilities and limitations. 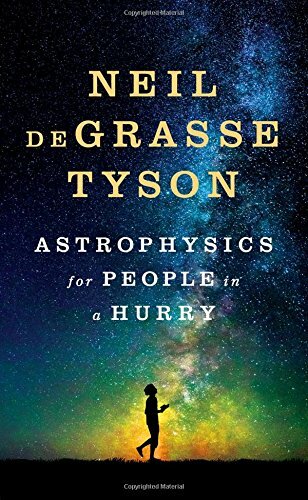 “Substituting down-to-earth wit for unnecessary jargon, Tyson presents ideas in clean, straightforward language and allows for the awesome nature of the universe to impress itself on readers unadorned. Also compelling is the author’s contagious exuberance for his field, which he has consistently demonstrated throughout his writing and TV careers,” writes Kirkus Review. Nine books over twelve months to cover hot spots in human affairs and human knowledge is a necessarily limited World Tour. But nine books of sustained attention to these topics promise a refreshing engagement with the world. Today’s post originally published at Styleblueprint.com. Image of each month heading copyright here. So many great titles here, Jennifer! I’ll look forward to the discussions. Happy New Year! A wonderful, interesting selection. Thank you! Love this idea I am in ! Thank you for the thoughtful list! I’ve already forwarded it to a friend. You make me want to read each recommended book. I need to get moving!!!!!!!! Jennifer, Finished the February book about North Korea and have recommended it to many friends. Interesting to have a true representation of the country and its behavior. Now on to the March book!